An MP was left with facial injuries when he was hit in the face with a brick thrown by a motorcyclist. 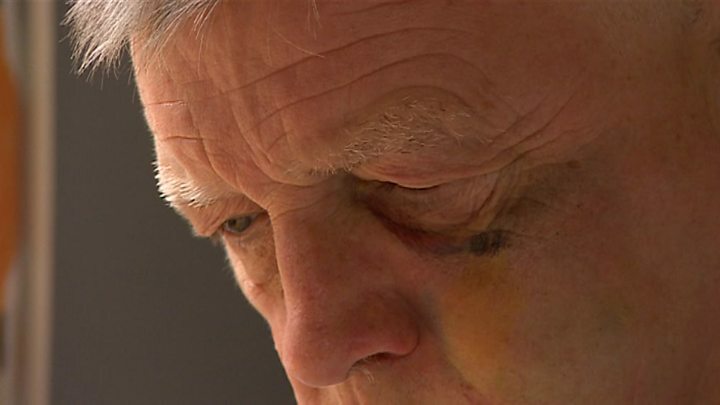 Labour's Steve McCabe said two people were riding "really recklessly" in Birmingham and he shouted at them to stop or he would call the police. The Birmingham Selly Oak MP, who said he had given a statement to police, stated he had a "beautiful black eye". On Monday evening he tweeted pictures of two motorcyclists allegedly involved in the attack. Mr McCabe told BBC WM he was out with Labour volunteers in the Yardley Wood area when the attack happened. "We were just assembling at Greenford Road... to go and do a spot of door knocking, when a couple of characters came down, riding really recklessly, dangerously, doing wheelies in the middle of the road," he said. "I mean we've had umpteen complaints about this kind of dangerous behaviour and so I shouted at them to pack it in or I'd call the police. "These are really quite nasty, violent thugs," the MP said of his attackers. "It is a big issue in south Birmingham, they are terrorising neighbourhoods, but I don't think there is a direct connection in that they knew who I was. "I think that's just the way they treat anybody who dares to challenge their behaviour." He added he was sure somebody knew who they were but that people were "terrified of these thugs". Mr McCabe tweeted: "Sure somebody recognises these two. All I need are names & addresses. Send them to me anonymously & I'll do the rest with the police." He said he was feeling "a bit battered and bruised, but I think I'll live". He expects to have some X-rays later but said "it could've been a lot worse. It could've been my eye". West Midlands Police is investigating. MPs from his own and other parties sent messages of sympathy to Mr McCabe. Shadow Education Secretary Angela Rayner expressed her shock.